Besides the functionality of the Cuisinart Hand Blender, the ease of use and comfort of this blender is fantastic. Ergonomically well-created, the Cuisinart has a comfort grip handle and wonderful architecture to help you partake in blending with minimal effort. The number of attachments this hand blender has isn’t overwhelming, as you won’t be losing pieces in that pesky “junk” drawer in your kitchen, but it has enough features to allow you versatility in the kitchen. Use the included measuring beaker to make precise measurements and create the perfect blend of your choosing. As for the 200-watt motor, you won’t have to worry about the power being close to none, as this motor gets the job done. Whether your food or beverage needs pulse control or continuous blending, you get to make sure it’s done the way you want and need. The only disadvantage of this hand blender is that the whisk attachment is lightweight. For those reading thing as automatically saying, “Not purchasing!’ Let me finish! The lightweight aspect of it doesn’t interfere with the performance of whipping thicker materials, so don’t let this scare you off! Whether you have thick cream or meringue, the whisk can do the job perfectly. Because I’m not that great of a cook or “blender,” I found comfort in knowing how reliable this hand blender is. Not only is it great at what it advertises, but it also comes with a recipe booklet for those like myself who need a bit of guidance in the kitchen. For those who need to puree often for themselves or family members (due to dietary restrictions and medical issues), this stick blender is capable of going far and beyond what you need. 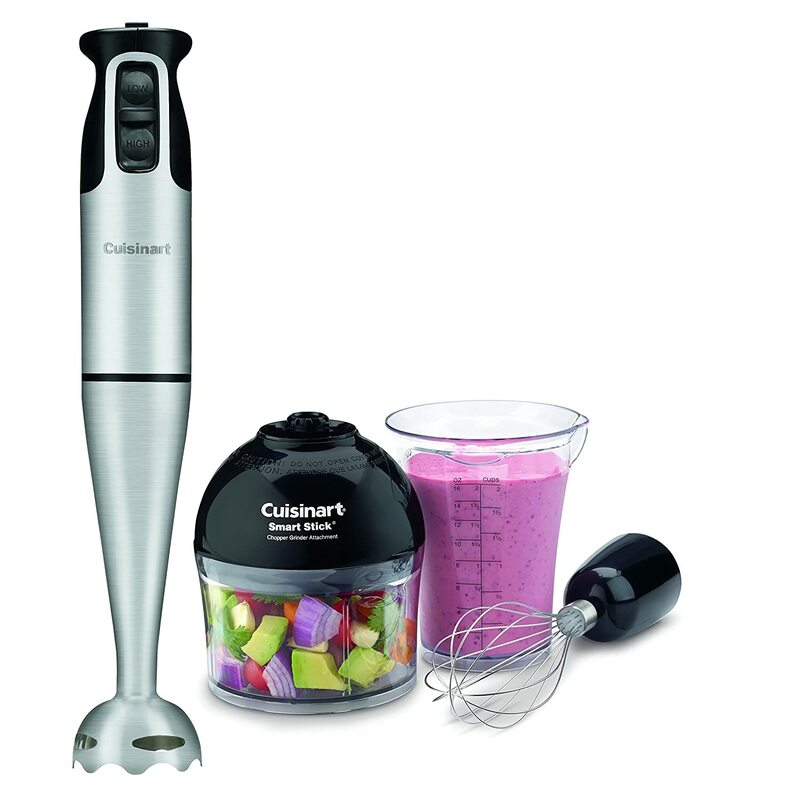 Overall, I highly recommend this innovative and sleek Cuisinart Hand Blender and think it’s a staple piece in any home.